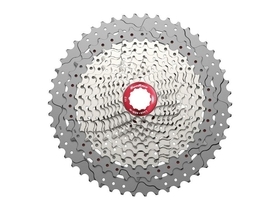 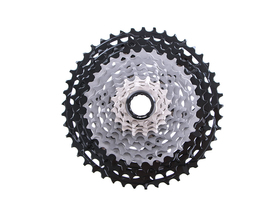 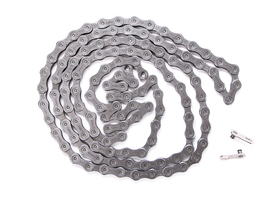 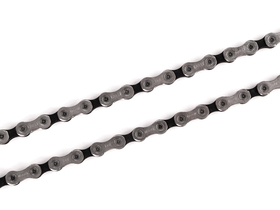 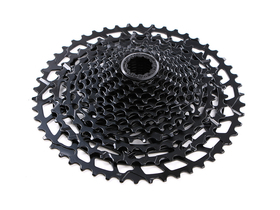 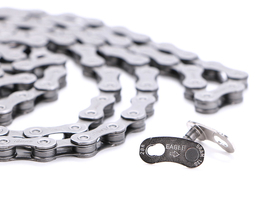 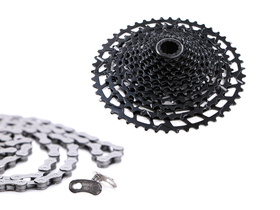 Inexpensive, yet lightweight 12-speed cassette from SUNRACE. 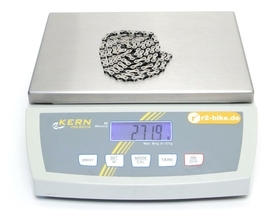 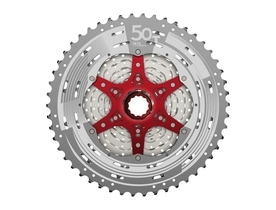 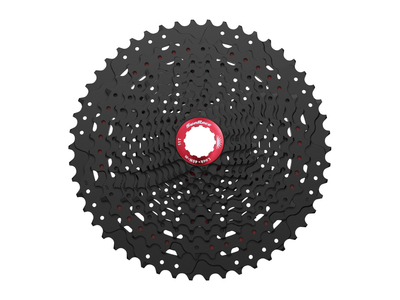 It is compatible with Shimano's and SRAM's latest 10- / 11-speed MTB clutches and features a gradation of 11-50 teeth, which is equivalent to a 455% range. 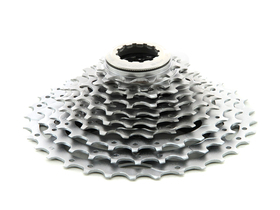 The optimized tooth shape in the Fluid Drive Plus design improves the phases of the gear change and ensures smoothness even under load. 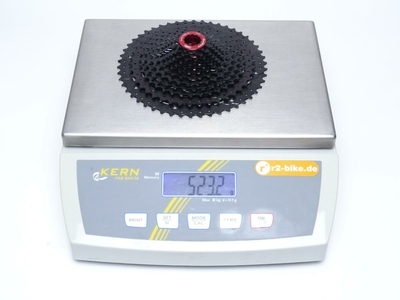 She is thus fully Uphill-fit. 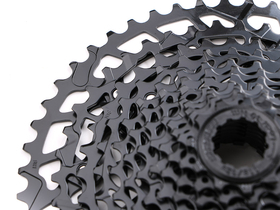 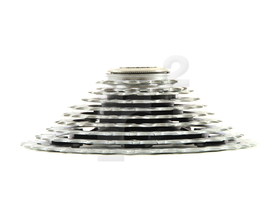 Aluminum is used on the upper 2 sprockets of 42-50 teeth. 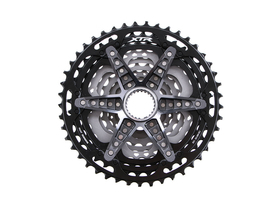 The remaining smaller sprockets are made of steel. 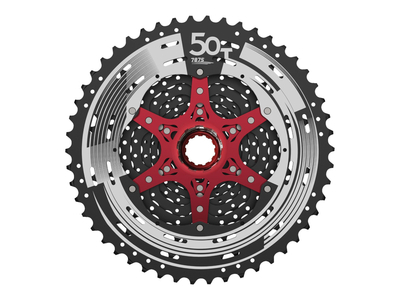 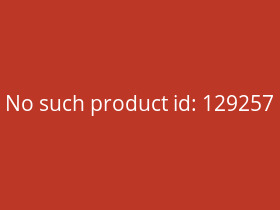 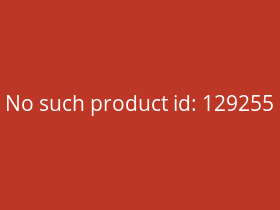 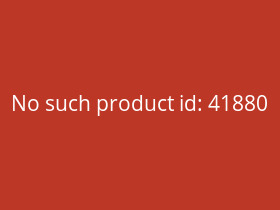 Lightweight, red anodized aluminum Spider not only push the weight but also provide a nice look.